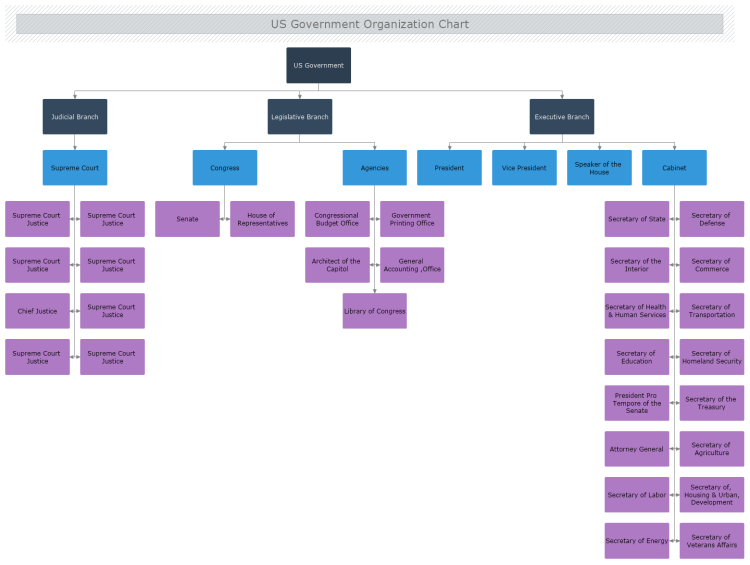 This template represents the United States Government Organizational chart. It suggest that the government consists of the Judicial, Legislative, and Executive branches. Each branch is presented with its head figures and additional details show the most important positions related to the government organization of the United States.